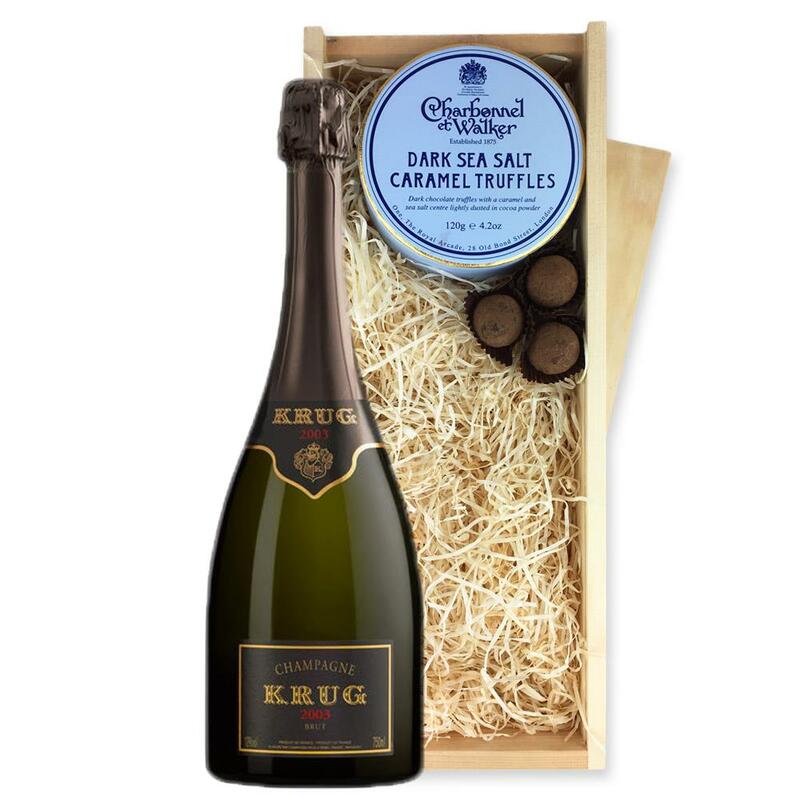 A single bottle of Krug Vintage Champagne 2004, Champagne & Charbonnel - Dark Sea Salt Chocolate Truffles (110g), Presented in a wooden gift box with sliding lid and lined with wood wool with a Gift Card for your personal message. 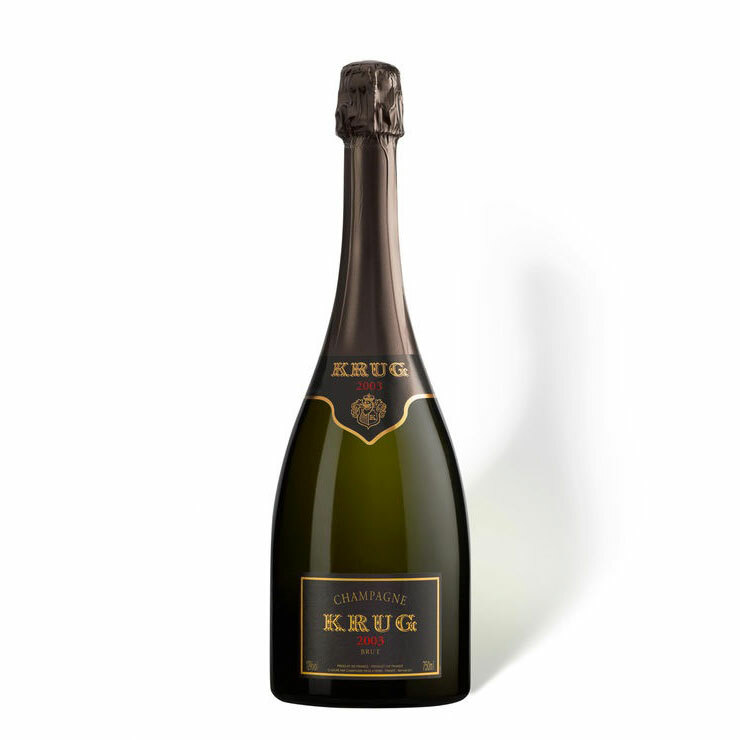 KRUG VINTAGE CHAMPAGNE 2004 A blend of 23 Pinot Meunier 40 Pinot Noir and 37 Chardonnay the grapes come from 20 to 25 different terroirs in the region. Its a profound wine of great depth and complexity with fine fast rising bubbles. The detailed flavours range from citrus and ginger to whole grain bread and woody richness with accents of honey and nuts. It retains its focus thanks to a vibrant structure all the time carrying its weight with authority and grace. A definite wine for the ages. Sending a bottle Krug Champagne gives any gift a feeling of Excellence. If you want to send more Krug gifts please see full list below.